Cibervoluntarios is a nonprofit organization made by social entrepreneurs to promote the use and knowledge of new technologies as a means to alleviate social gaps, generate social innovation and foster citizen empowerment. Cibervoluntarios works to increase the rights, opportunities and capabilities of each person within their social environment through the use of technology tools and applications within their reach. Yoland Rueda, Founder and current President of Cibervoluntarios Foundation, started the initiative over 17 years ago, before the term “social innovation” became mainstream in Spain, being aware that there was a need to overcome the digital divide in Spanish society. Starting off with a small group of volunteers the organisation now counts with over 1.500 of them all across the territory. What is the social innovation Cibervoluntarios about? Cibervoluntarios Foundation is a pioneering non-profit organization based in Spain with 17 years of trajectory shaped by social entrepreneurs. Our organization promotes the use and knowledge of new technologies and Digital Competences as a means to alleviate social gaps, generate social innovation and foster citizen empowerment. We Promote the adoption and use of ICT by citizens, NGOs and institutions. Cibervoluntarios’ mission is to ensure that all people have same opportunity to access, learn and use new technologies to improve their quality of life and their environment. Leveraging social use of any kind of technological tool to improve the world. The power of connected citizens is the power to change the world. I co-founded Campus Party in 1996, the highest concentration of Internet users in the world, now present in several countries. Campus Party is an event that brings together young geeks worldwide. After that, really intense years came, where thanks to the Campus I started companies and projects oriented to use the power of technology to change things. I experienced the internet “boom” and also the birth of Social Media as a powerful participation and communication tool. 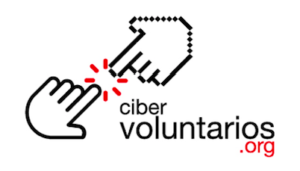 Cibervoluntarios Foundation was born in 2001, after realization that so many people needed the same opportunities to use and know about technological tools, and to fight against digital divide. Hearing about digital exclusion, about how technology meant separation and division. Something needed to be done about it. How could people live without technology? How did they communicate, participate, share, work collaboratively or do networking, etc.? Something needed to be done to overcome this divide. That is how Cibervoluntarios Foundation was born as a network, without any support or institution behind the organization. This is how this is done by social entrepreneurs. There wasn’t any fear. On the contrary. There was a team eager to build an organization. A team focused to develop strategies and start thinking outside the box 17 years ago when the term “Social innovation” was very unknown in Spain. And moreover, there was optimism – if you start something with fear you will find more obstacles in your way. We are cybervolunteers and we are cyberoptimistic. We’ve just started a small group convinced about the power of technology to change things. We were very clear since the beginning that the digital divide affected different groups of attention, so you needed to tend to all these different needs. We started with a small group of cybervolunteers, that step by step with hard work become a large network of 1.500 cybervolunteers generating activities and collaborating with almost 400 Grassroots Organizations across Spain. We work very close and collaborate with public institutions (local, national and European level governments), universities, high schools, and other NGOs. Of course, you need to be in all national and international forums to share good practices and experiences. We are always looking for strategic alliances to be stronger and reach more people. An example of this is a new program we started last April in collaboration with Fundación Mujeres and Google Foundation: Digitalizadas.org. This program aims to train 5.000 women living in rural areas in digital competences for employability and entrepreneurship. Nothing is more human than technology, because technology is communication, participation, action and we are social beings by nature. Technology allows us to communicate. Today, thanks to technology, with ideas, enthusiasm, time, and not many resources, every citizen has the power in their hands to change and improve the world. All our training activities are adapted to each specific need of each collective. Adapting each talk, each workshop and each course to different groups of attention: people with disabilities, elderly people, small grassroots organizations with less resources, local communities… Our programs have a wide range and each of the programs we run is specific for each group of attention: “Innovadoras TIC” to foster the potential of women in TECH, “Digitalizadas” to train in Digital competences for entrepreneurship for women living in rural areas, “Para Piensa Conectate” to raise awareness among children, teens, parents and educators to fight against cyberbullying and use Internet in a safe way, “Integra en Red” to train people with disabilities in Digital competences. And this is how social innovation should be: Putting the citizens needs at the center. Social innovation is an everyday practice attending to the needs of people who might be at the risk of social exclusion. There is no social innovation if the solutions provided don’t solve existing problems. How did you raise the money for your idea and what is your advice for others considering DYI fundraising? To do so and achieve these goals, the foundation counts on a network of 1.500 cybervolunteers all over Spain to provide free digital training to many different collectives at the risk of social exclusion through specific programs. What is the one advice you can give to an aspiring social innovator, a member of the Social Innovation Academy, with only two things at the moment: a big heart and a willingness to do something? Don’t be afraid to follow your passion to change the world. Because we live in a historic moment, like no other, in which the appropriation of technology is the key to eliminating social gaps and achieve the Sustainable Development Goals stablished by the United Nations. If you have an idea to overcome a social challenge using technology (sustainable, open, ethical, transparent and innovative), work on it, find alliances, search for funding… only those who take risks change the world. Yolanda Rueda. Social entrepreneur. Founder and current President of the Cibervoluntarios Foundation, organization chosen by Google.org as one of the 50 organizations that are changing the world. Yolanda previously co-founded the Campus Party (www.campus-party.org) and the ICT consultancy company Futura Networks. She has also worked for Red.es and the Youth Institute of Spain. 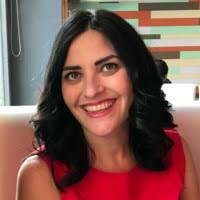 In 2011, 2012 and 2016 Yolanda was named as one of the Top 100 women leaders in Spain in 2018 Yolanda has been named as one of the 100 of COTEC, specifically specialist in the Fourth Sector. She also received in 2012 a prize in the “Real Women” Awards of the Spanish magazine Mia. In 2013, the Procom Association recognized her as one of “The Influentials” for hers 2.0 advocacy and leadership. Yolanda has a degree in Journalism, with masters in Management and Administration of Foundations and other non-profit entities and Marketing. Yolanda also founded in 2006 Empodera.org, an ICT Social Living Lab that works as space of experimentation to propose real solutions to specific social problems using open and inclusive technologies. Meet Yonah Welker, an entrepreneur, impact investor and influencer known for his passion and dedication to the OEI Domain (Openness, Education, Impact). Learn more about the Story of “ColorADD – Color is for all” and get inspirational insights, by its creator, Miguel Neiva. QUID social innovation employs disadvantaged and marginalized people through the creation of fashion products. Let’s have a look.